Sadko by Natalia Goncharova. Opera costume, 1916. 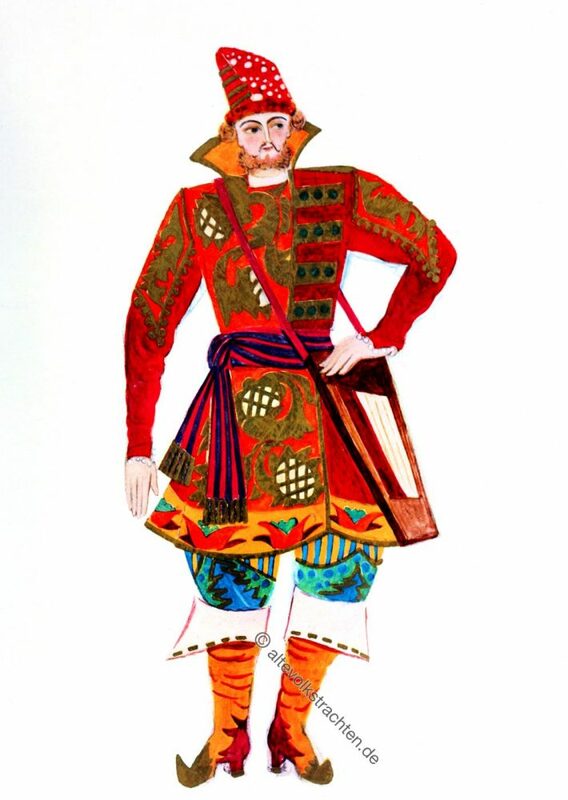 Opera costume for Sadko by Natalia Goncharova. 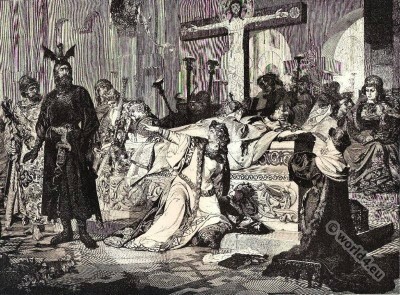 This entry was posted in 10s, 1916, 19th Century, 20th Century, Genre, Russia and tagged Artist, Opera on 4/25/18 by world4. This entry was posted in 14th Century, 1845, 19th Century, Genre, Germany, Romantic Era and tagged Character sketches, Opera on 8/16/15 by world4. Rheingold. 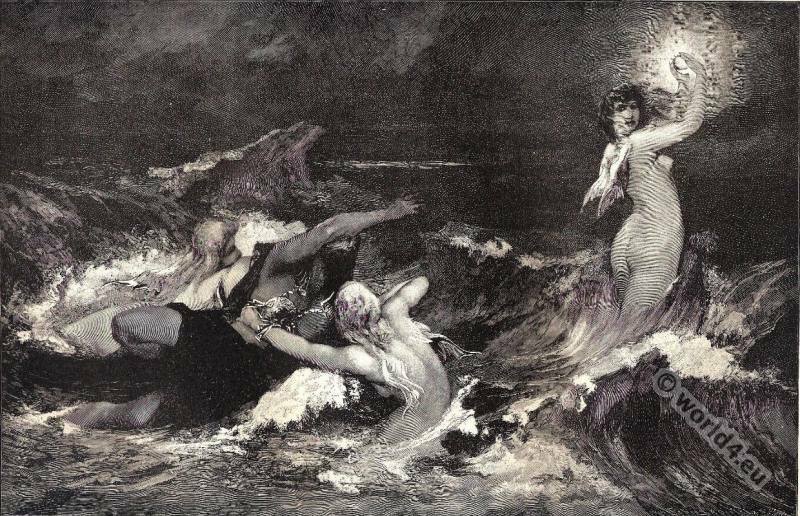 Alberich’s Pursuit of the Nibelungen Ring. This entry was posted in 1879, 19th Century, Fantasy costumes, Genre, Germany and tagged Character sketches, Opera on 4/15/15 by world4. The Nibelungenlied. Kriemhild at Siegfried’s Bier. This entry was posted in 5th Century, Ancient, Fantasy costumes, Genre, Germany, Middle Ages and tagged Character sketches, Medieval costume, Opera on 4/15/15 by world4. 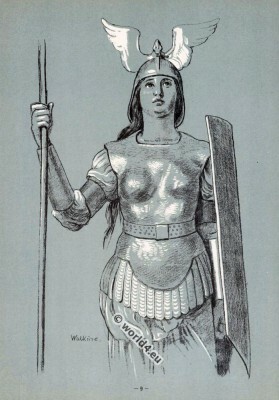 Costume design for Brünnhilde in The Ring Cycle 1879. 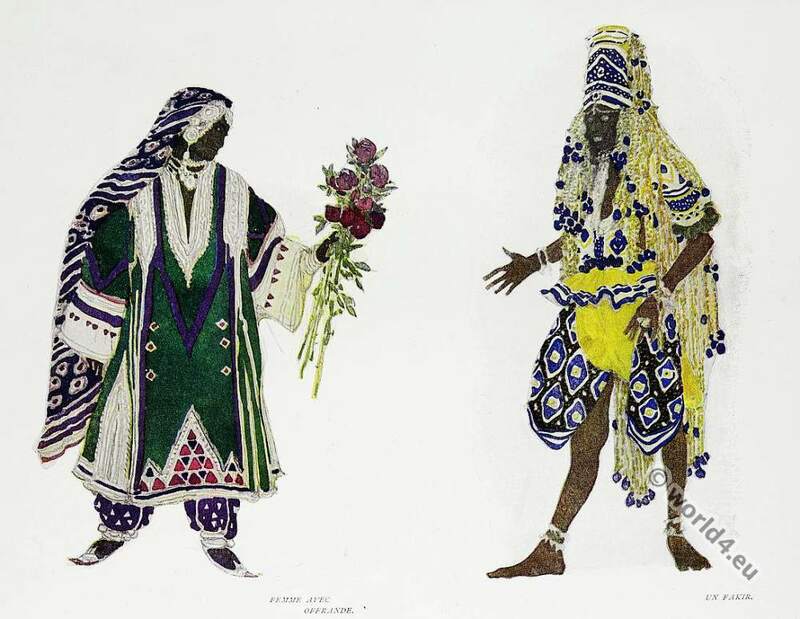 Hans Thoma costume designs for the opera The Ring of the Nibelung. Opera by Richard Wagner. The daughter of Wotan and Erda. 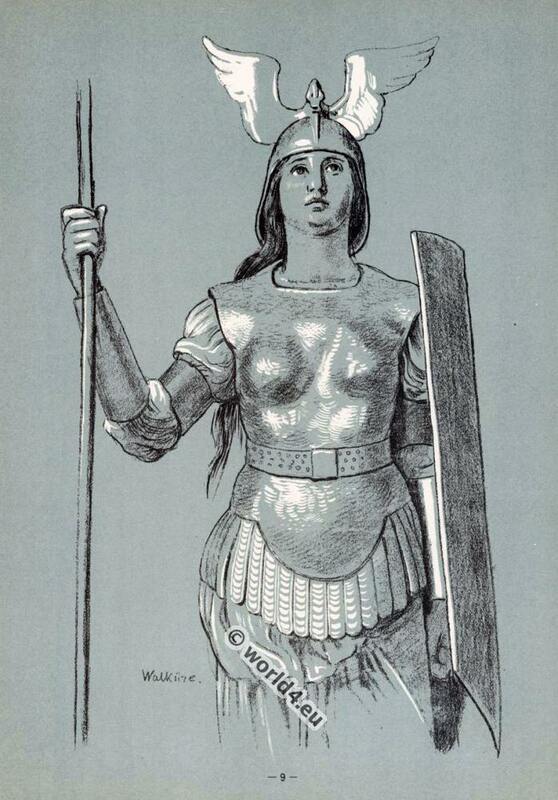 Wotan’s favorite daughter and preferred Valkyrie. White robe and hat, bright indigo blue coat. Gallery: Hans Thoma costume designs for the opera The Ring Cycle by Richard Wagner 1879. This entry was posted in 1879, 19th Century, Fantasy costumes, Germany and tagged Knighthood, Opera on 12/10/14 by world4. Costume design for Siegfried in The Ring Cycle 1879. 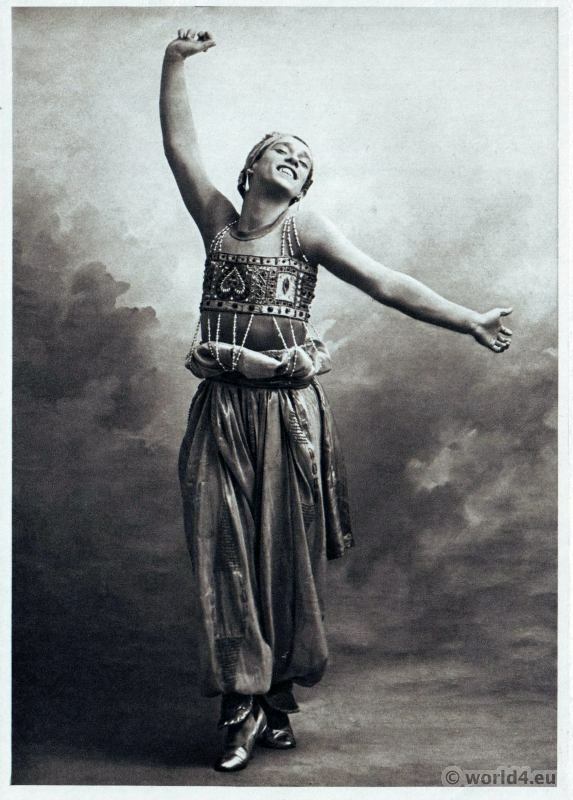 Wilder son of the Wälsungen* Sieglinde and Siegmund and thus the grandson of Wotan. 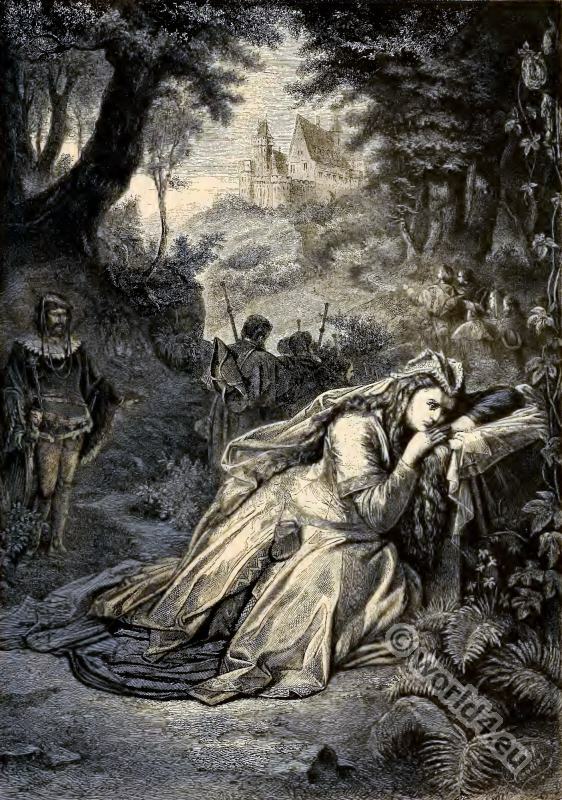 Forging the sword Notung new, kills Fafner* and mime, wins the Nibelung treasure awakened Brünnhilde and takes her as his wife. * The Wälsungen (also Wölsungen, Welsungen, Völsungar) are a legendary Germanic race, named after their ancestor. This will be for the first time in the Old English epic Beowulf (at least the 10th century, perhaps earlier), called as Wael. 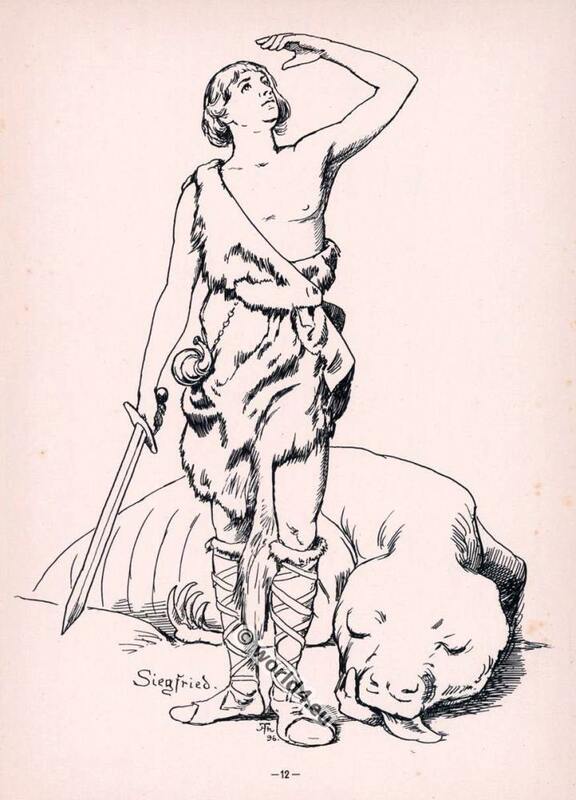 * Fafner is, according to the Icelandic Völsungasaga the son of the Dwarf King Hreidmar. By using a powerful weapon and his fearless mind he guards the adorned with gems and shiny gold house of his father. He later turns out greed into a dragon. 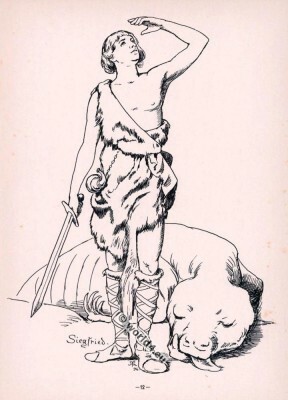 Siegfried kills him and thus win the treasure of the Niebelungen. This entry was posted in 1879, 19th Century, Fantasy costumes, Genre, Germany and tagged Opera on 12/10/14 by world4. 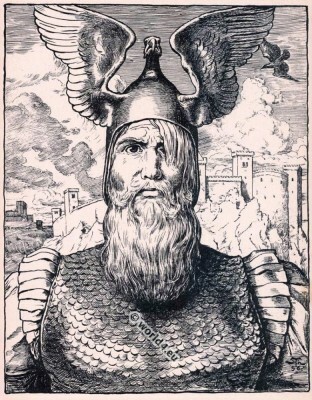 Costume design for Wotan in The Ring Cycle 1879. Hans Thoma costume designs for the opera The Ring of the Nibelung, opera by Richard Wagner. God, Nature wicked, man power and ruler of the world, “light albe”, he created the “laws” which are carved in the cut of the World Ash contract spear, and let the gods Valhalla built to consolidate his power. Is also known as Wälse and walker go. 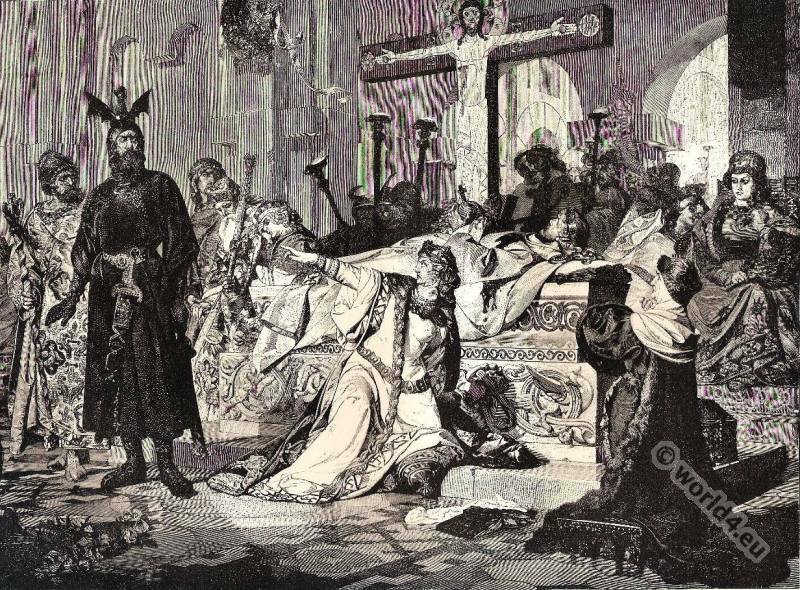 At its power politics – he does not respect its own laws – the gods and thus the existing world order will perish. This entry was posted in 1879, 19th Century, Fantasy costumes, Germany and tagged Opera on 12/10/14 by world4. Marie Sallé (1707 – 1756). 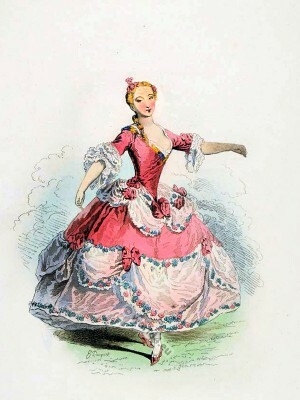 French Ballet Danseuse in 1730. 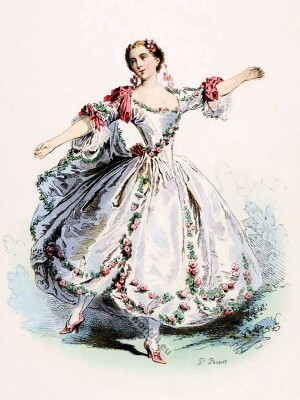 Marie Sallé was a French dancer, time companion and rival of Marie Camargo. This entry was posted in 1730, 18th Century, Ancien Régime, France, Rococo and tagged Dance costumes, Modes et Costumes Historiques, Opera, Rococo fashion, Theatre on 12/22/13 by world4. Marie Camargo, Opera dancer, ballerina in 1730. This entry was posted in 1730, 18th Century, Ancien Régime, Baroque, France, Rococo and tagged Baroque era, Dance costumes, Modes et Costumes Historiques, Opera, Rococo fashion on 11/14/13 by world4.